Thanks so much sebbsubb! I'm glad you liked the look of it. I went low poly cuz it was quick, but then it looked pretty nice so I kept it lol. I'm definitely gonna expand cuz I have so much to add to this game. 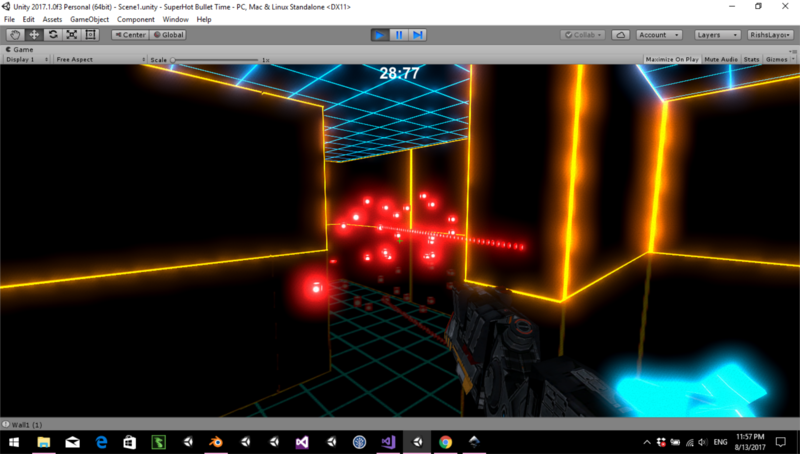 This is more of a proof of concept in my eyes lol I just wanted to see if I could code that Superhot time style. Now I can add my own features to it! Definitely the best game I've played so far in the jam! I loved the aesthetic and it fit the theme exactly. The animation of the player ( 'lego' looking guy which I looooved :) ) was great too. You should definitely expand on this game in the future. This game makes me want to start using Unreal Engine more now, which I will be doing soon haha Thanks :) Awesome job my friend! Thanks seasonalstout! I appreciate the great feedback. I can definitely look into reducing the mouse sensitivity! I think I have fixed the jumping issue in the latest version I uploaded. No pressure here, but if you do have time please check the updated build and let me know if the jumping is better. Thanks :) And I am sorry about the jumping being an issue before! I think I have fixed the jumping issue in the latest version I uploaded. No pressure here, but if you do have time please check the updated build and let me know if the jumping is better. Thanks :) So sorry for the inconvenience! I think I have fixed the jumping issue in the latest version I uploaded. No pressure here, but if you do have time please check the updated build and let me know if the jumping is better. Thanks :) So sorry it was a stopping issue for you! Thank you for the feedback! I think I have fixed the jumping issue in the latest version I uploaded. No pressure here, but if you do have time please check the updated build and let me know if the jumping is better. Thanks :) So sorry about the jumping! Thank you for the feedback! I think I have fixed the jumping issue in the latest version I uploaded. No pressure here, but if you do have time please check the updated build and let me know if the jumping is better. Thanks :) And kudos to finding an alternate way to make the jumps lol. I am so sorry the jumping was so bad! This was pretty fun once you got into it! Took a few tries at the beginning to really get a feel for the gameplay, but once I did it was great. I did realize that the timer can go into the negative seconds, probably just an oversight :P I loved the look of the game and it does fit the feel of a 30 Second Quest theme for sure. Thanks for the feedback and suggestion RevelationGT! I'm sorry the jumping is an issue for a number of players. I will remedy this soon. Currently, I am implementing the jumping by AddForce to the rigidbody and multiplying the Y axis force by Time.unscaledDeltaTime. 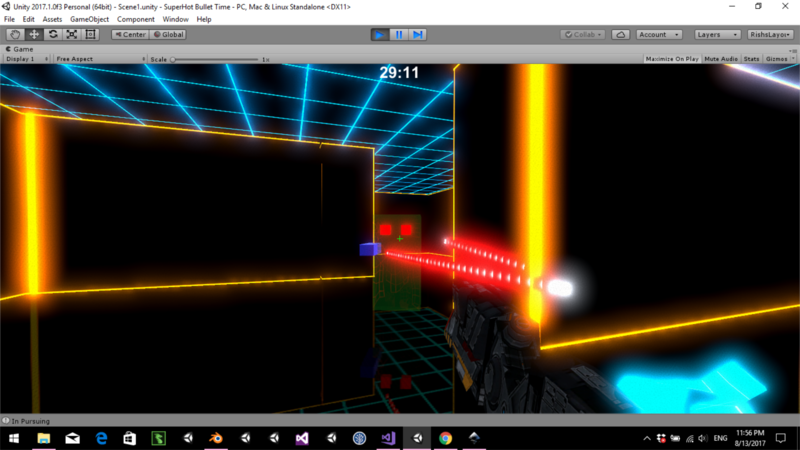 I have to use unscaledDeltaTime because Time.DeltaTime in Unity is affected by the TimeScale of the game (which I use to stop time when the player stops moving). Whereas Time.unscaledDeltaTime is not dependant on the games TimeScale. Either way I appreciate all the feedback and I am currently looking into fixing it! I am not sure if I can re-upload a fixed version of the game as a submission lol, so I will wait until the voting periods ends to upload a fixed version! Nice game! Looks awesome too. Had some framerate issues though. I did lower the quality settings, so that helped a bit. The controls could be tightened up a bit though, especially the jump. It seems the player is moving so quickly at times that the jump takes a split second too long to catch up lol. Nonetheless great job! This game punishes you from the very beginning haha. I like the simple idea and concept, but an easier intro level would make this game much more fun to get into. I get that you were going for a difficult fps style game and that's all good, but this game could frustrate a number of people who aren't used to fps games in general lol. Either way good job though! I laughed so hard when I saw Uizard Layry's head bobbing up and down like Terrance and Phillip from South Park! The game looks great, but the controls need to be tightened up and I agree with a previous comment, which punishes the player too harshly when you die, especially if you're near the end of the game, by starting you at the very beginning. All in all though a great looking game with some nice ideas that you can build upon and add a checkpoint system for sure! The options menu was nice and I have to say, the humourous dialogue was a great touch! Definitely a great looking game and theme! The player animations are well done as well. The gameplay is decent, but the camera moves a little too abruptly when I'm looking around. Nonetheless a great game and you have some serious artistic skills for sure! Would like to see this game fully fleshed out and completed. Thanks HDugmag! I'm glad you had fun :) I had a couple more mechanics coded in to make it more interesting, but didn't have the time to flesh them out fully, so I removed them lol. I intend on continuing development on it, incorporating those removed features and expanding the world and story in the future! Oh no! I am sorry to hear that! I played through it a few times, but didn't encounter that bug. I'll take a look at the build. I did reduce the jump height when you're standing still. Did you try walking towards the pillar and jumping at the same time? Because the jump height is doubled if you jump while walking. Either way I am sorry. I'll have to fix that in an updated release build. Thank you for your feedback Arvid! This is my first video update! Got most of my gameplay and assets done. Now onto some level design and audio stuff! Hopefully this makes the spotlight video haha. Thanks Matthew! 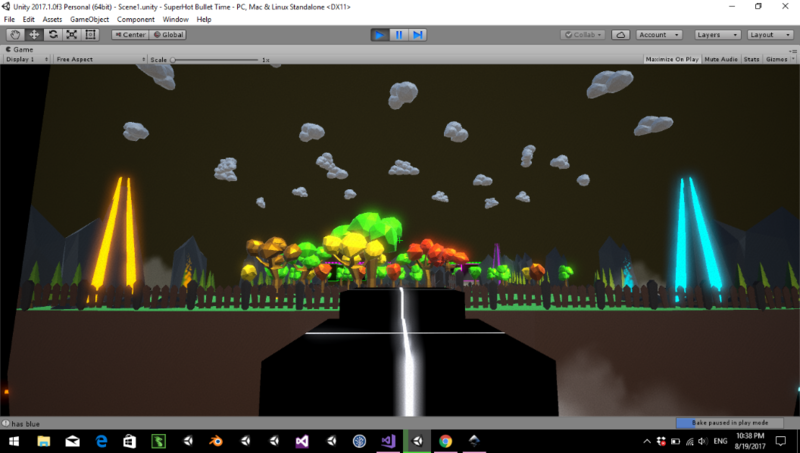 Let's Create Game Jam #1 community · Replied to Vince Rodak in Game Jam Progress - Post here! Hard work pays off Vince, no matter how long it takes you! Camera movement looks great btw! 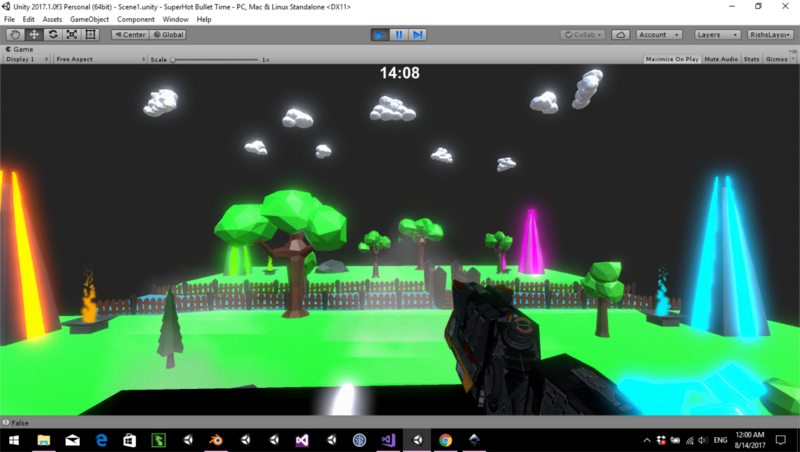 Let's Create Game Jam #1 community · Replied to kramerlee in Game Jam Progress - Post here! Let's Create Game Jam #1 community · Replied to smellfet123 in Game Jam Progress - Post here! Definitely looks cool! I went for a Superhot vibe as well! Let's Create Game Jam #1 community · Replied to JFive in Game Jam Progress - Post here! Looks awesome! I have lanterns to light flames in my game too haha!